Travel Hacks You Will Wish You Knew Years Ago! This post brought to you by Atlantic Luggage. 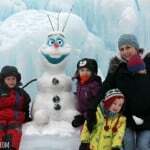 The content and opinions expressed below are that of https://musthavemom.com/. 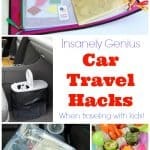 Traveling can be a challenge but add in traveling with your entire family along and you’ve got cause to plan ahead and put to use as many travel hacks as possible! Here are several travel hacks I wish I had known about years ago! Nowhere to go? Enter to win a family trip to NYC or San Diego! Now let’s get packing! There have been many times I have traveled with just a carry on suitcase. It eliminates the possibility of the airline losing your luggage and saves time be eliminating the need to wait for checked baggage. 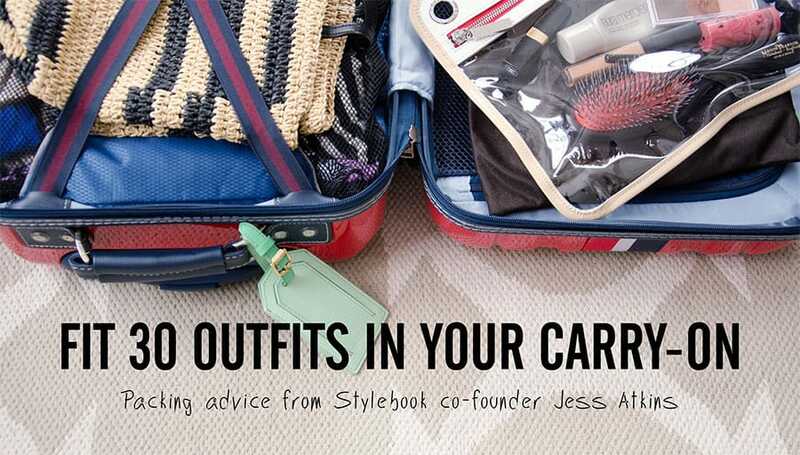 Here is a great post on packing 30 outfits in your carry on and how to style the outfits so you have plenty of options! -That pill container is good for more than just pills! Use it to store your earrings, necklaces and rings so they don’t get tangled up in your suitcase. -Use a shower cap to cover the bottoms of your shoes before packing them in your suitcase. The shower cap will protect your clothes from getting dirty. -Rather than packing your large container of foundation, fill an empty contact lens case with foundation and leave your makeup bottle at home. -Toss a few clothespins in your suitcase so you can hang up your wet swimsuit or clothes you’ve washed in the sink to dry. 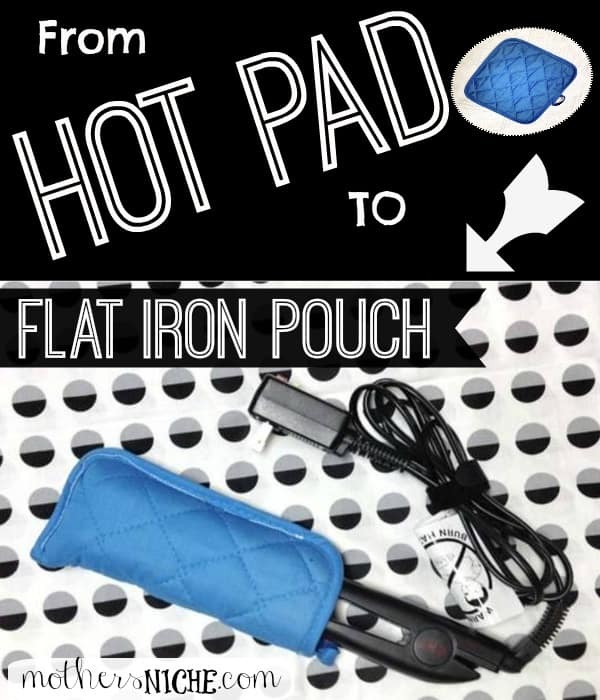 Turn a dollar store hot pad into a flat iron case! Now you can pack your flat iron in your bag before it cools down. Invest in quality luggage to make your trip through the airport easy. There is nothing worse than juggling bad luggage through the airport, trust me I’ve done it! I can recall trying to haul two suitcases through the airport, into a cab and then into a hotel by myself. One of the suitcases kept tipping over until finally the strap I used to pull it broke off completely. Invest in nice luggage that will save the wear and tear on your body and make for a pleasant trip. Atlantic Luggage offers an amazing line of luggage to get you to your destination! You will be amazed how much you can fit into each piece, ridding you of the hassle of multiple pieces of luggage to carry or to worry about in the airport. Atlantic Luggage has innovative features such as the Link2Go™ system, which allows you to connect multiple pieces of luggage for easy one handed rolling. Or, their 360-degree 4-Wheel Spinners allows for easy guiding and steering through busy terminals. Atlantic Luggage has thought of it all, taking the struggle out of traveling for the whole family. 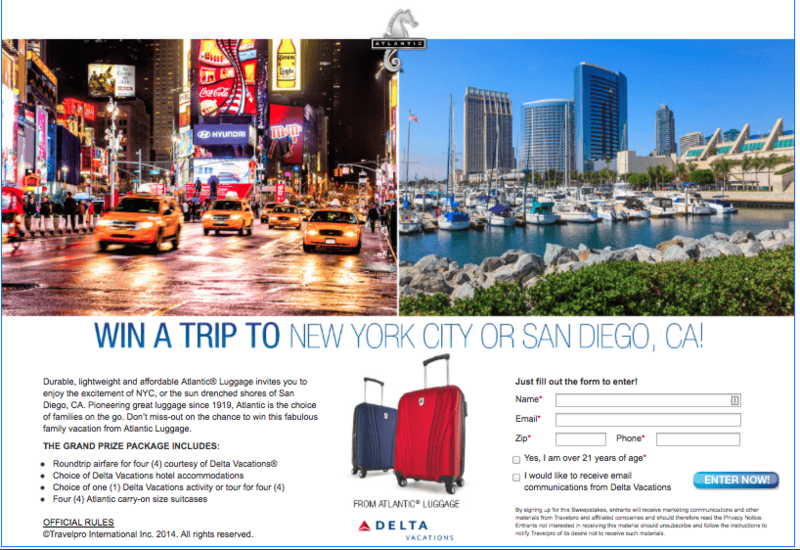 Now through November 15th, Atlantic Luggage is running an amazing sweepstakes where you have the opportunity to win a family trip for four to your choice of New York or San Diego! Because life is a trip®, Atlantic Luggage is sending you on the trip of a lifetime! So, register for your chance to win a trip for the whole family today! « Natural Dog Food Crafted By Pet Nutritionists Available At Walmart Now! That flat iron pouch idea is BRILLIANT. I am so trying that. 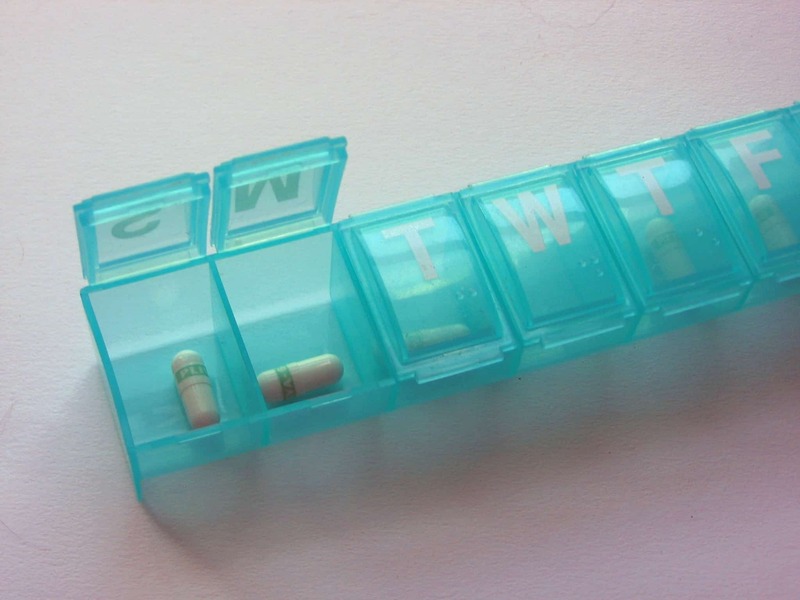 I love the pill organizer hack. I can’t tell you how many earrings I’ve lost travelling over the years. Thanks! You are a genius! I love all of these tips. I love putting a shower cap on the shoes. So smart! Fit 30 outfits in a suitcase? Umm, that would be great. Awesome tips. Can’t wait until we take our next trip— hopefully it’s soon! I love these tips. I would never have thought to put my foundation in a contact lens container! Such great travel hacks! I notice that when I put my clothes in vertically, I tend to be able to fit more. 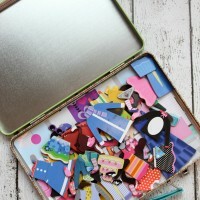 Plus, they seem to stay better organized! That flat iron pouch is so clever! I travel a lot and would love to be able to pack 30 outfits. These are great tips and a great giveaway. Thanks for sharing! The right luggage is so important. I had the handle on mine fall apart on a new suit case. It is hard to carry a bag that you can no longer roll while trying to juggle everything else. I love that flat iron pouch, that would be nice to have when I go places. You are a packing genius! I can’t believe some of these tips. A pouch for the flat iron. A medicine organizer for jewelry. Awesome. Great tips – love the hot pad curling iron idea. I’ve wanted some of those travel bags for quite some time. I might just bite the bullet and buy some before our next trip. Those are some great tips. I never thought about the makeup tip and it is really a great hack! I will tell my mother in law too. She travels a lot! I could totally use new luggage! I don’t travel enough to justify the purchase at this point though. The shower cap idea is genius! 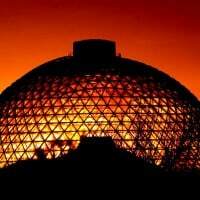 I would love to win a trip! I also need some new luggage so this post is doubly helpful! I’ll never buy a non-spinner piece of luggage again. They make life 100x easier! These are great tips! I have one of those flat iron covers, it is so stinking handy! I do all of these, but always need more tips for travel except the suitcase. I have to get me one of those! WOw! This is so impressive! I love flying with Delta too!